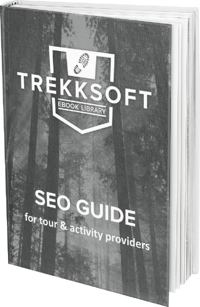 Here's your SEO Guide, happy reading! If you're looking for an online booking software solution for your company, why not request a personal demo and consultation with our team using the form below? Don't miss out on any bookings while you're out and about. Our software is designed to instantly convert website visitors into paying customers. Connect your own payment gateway or use TrekkSoft's for the lowest rates. Enjoy the freedom of getting outside and managing your activities on-the-go. Use any computer, tablet or phone to login to TrekkSoft and view guest lists, adjust available dates and increase capacity. The Partner Network allows you to cross-sell activities with other TrekkSoft users. Opt in to our professional package to let travel agents from all over the globe book directly into your system with the Agent Desk Interface. Use TrekkSoft’s Resource Manager to monitor the availability of resources such as boats, transportation and equipment. The system automatically adjusts the availability of your tours to prevent overbooking.